When something isn’t working properly in our body, we go to a doctor. But before she gives us a pill or direction to do something differently, she has to diagnose the problem. And it all starts with a truthful confession of the symptoms. 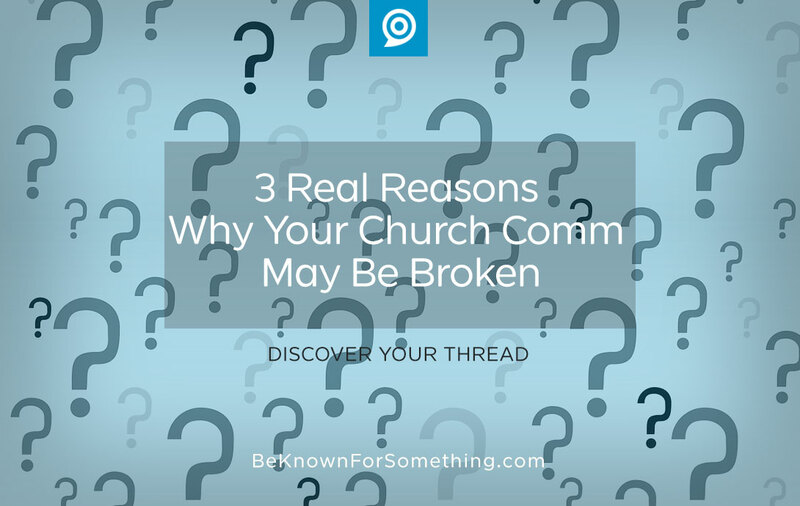 Many churches aren’t willing to admit that their communication is broken. Even when it’s just not working. Does this sound like you? 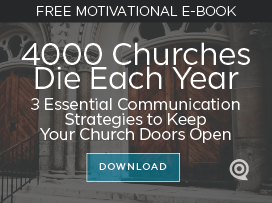 The congregation isn’t informed or the external community isn’t engaging or connecting with your church’s messaging. The leadership isn’t happy. Or maybe the communication person or department can’t keep up or they’re ready to quit. You need help. You have the wrong person leading. This critical position needs to be more than a creative doer. Your communication leader needs to love ministry, have a positive disposition, be a master juggler, always wildly organized, and ultimately a problem solver. A church needs a true leader to direct their church communication process. Then they’ll need to decide if they can complete the challenging tasks alone or if they require a team (paid or volunteer) for sanity. The communication calendar isn’t working. The foundational structure of all church comm departments is the knowledge of every event that requires communication support. This needs to be a calendar that has every one of the church events on it. And this calendar only works effectively if there’s a time requirement for each event to be added with an additional material deadline for the details once they’re added to the calendar. Everyone in the church who has the ability to create an event, needs to have access to this calendar so they can plan appropriate dates without conflicting with the busy calendar. All events are shouting for importance. If everything’s trying to be important, nothing will be important. In fact, the noise that’s created becomes counterintuitive to effective communication. Every church needs to set up a prioritization for their events —- something we call tiering — so that certain events get to have the loudest voice in the church. Then some of your communication channels need to be restricted for the most important events. Your end goal is to never waste the time of anyone when promoting. If you do, people will start ignoring you. The solution? Tier your events (i.e. Tier one is any event that almost everyone will be interested in — an all-church event. Tier two will be the all-ministry-specific events — like an event for all the Students — and tier three is anything that reaches less than 85% of a ministry — such as a Sunday School class outing), then decide the appropriate communication channels that work for each tier. You can’t allow all events to get all channels. Confession of your communication problems are good for the soul. And the professional diagnosis pinpoints to how things can be fixed. But now one must systematically implement the change. Just do it. Now.